Honey Stop the Car! 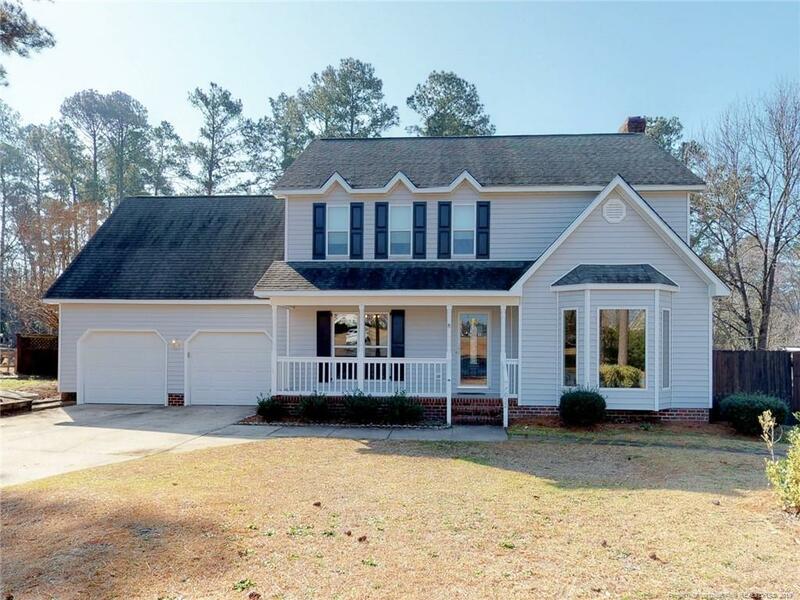 Wonderful neighborhood close to Ft Bragg, VA and shopping centers. This lovely home features a large Dining Rm w/hardwood flrs. A spacious Office/Formal LR newly carpeted. Kitchen has granite counter tops, solid wood cabinets, pantry & breakfast area. Large Family Rm w/Brick Fireplace & newly carpeted. Upstairs Laundry, Bdrms & Bonus. Master features a large walk in closet & newly tiled shower. The backyard is large, fenced & newly renovated deck/porch area. check out the Virtual Tour! Directions: Raeford Rd, Left On Tunbridge, 1st House On Kings Lynn Loop.